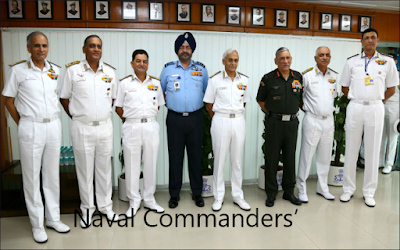 (e) the steps taken by the Government to meet the shortage of doctors, tap/infuse the resources, infrastructure and paramedics into the system, create awareness among the people and effectively implement the scheme? (a) The Government has launched Ayushman Bharat Programme to address access to health holistically, including prevention, health promotion, primary, secondary and tertiary care. Ayushman Bharat Yojana comprises of two components namely (i) Provision of Comprehensive Primary Healthcare (CPHC) through Health and Wellness Centers (HWCs) and (ii) Ayushman Bharat Pradhan Mantri Jan Arogya Yojana (PMJAY). Health and Wellness Centres are envisaged to provide an expanded package of primary healthcare services encompassing reproductive and child health services, communicable diseases, non-communicable disease, palliative care and elderly care, oral health and ENT care, and basic emergency care in addition to preventive care and health promotion, provision of point of care diagnostics, regular refills of essential drugs etc. 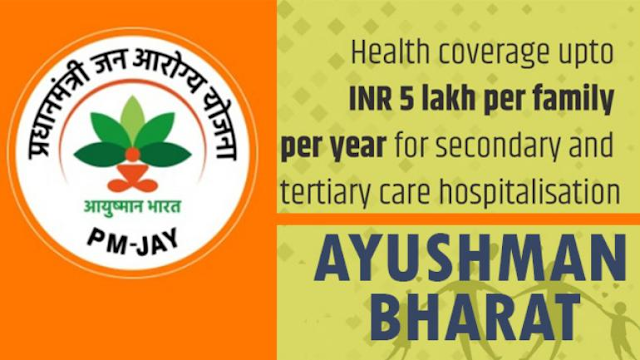 Ayushman Bharat Pradhan Mantri Jan Arogya Yojana (PMJAY) provides hospitalisation coverage up to Rs.5.00 lakh per family per year for secondary and tertiary care procedures including certain defined pre and post hospitalisation expenses to families eligible based on specified deprivation and occupational criteria as per Socio Economic Caste Census (SECC) database. The salient features of Ayushman Bharat- Pradhan Mantri Jan Arogya Yojana (AB-PMJAY) are provided at Annexure-I. (b) to (d) AB-PMJAY is an entitlement-based scheme under which coverage is linked to deprivation. Beneficiary families for PMJAY have been identified on the basis of defined criteria using the SECC data. Beneficiaries of the scheme are entitled to cashless treatment for the approved treatment packages in the empanelled Government or Private hospitals for which claims are submitted by the hospitals. State-wise details of empanelled hospitals, beneficiaries admitted, and claims submitted by the hospitals are at annexure II. The steps taken by the Government to increase the numbers of doctors, paramedics, and infrastructure are at annexure III. 2. PMJAY provides health coverage up to Rs. 5 lakh per family per year for secondary and tertiary hospitalization to around 10.74 crore entitled families (approx. 50 crore beneficiaries). 1. Under Ayushman Bharat Programme 1.5 lakh Health Sub Centres and Primary Health Centres are to be transformed into Health and Wellness Centres (HWCs) by December, 2022 in order to expand access to Comprehensive Primary Health Care (CPHC). Sub Health Centres (SHCs) and Primary Health Centres (PHCs) are being strengthened as Health and Wellness Centres (H&WCs). The H&WCs are to provide preventive, promotive, rehabilitative and curative care for an expanded range of services encompassing reproductive and child health services, communicable diseases, non-communicable diseases, palliative care and elderly care, oral health, ENT care, and basic emergency care. 2. Approvals for over 21000 such HWCs were accorded in 2018-19 against the target of 15000 in the current year. Out of these, 8120 Health & Wellness Centres have been operationalized so far. 3. National Health Mission(NHM) is being implemented to strengthen public health systems in the States/UTs including providing support for health human resources and infrastructure. 4. For HWCs, at the level of sub-centres under Ayushman Bharat, mid-level health providers are being engaged. These are usually B.Sc (Nursing)/GNM or Ayurveda doctors that have successfully completed six months certificate course on primary healthcare and public health. B.Sc. (Community Health) pass students are also being engaged as mid-level health providers. 5. The ratio of teachers to students has been revised from 1:1 to 1:2 for all MD/MS disciplines and 1:1 to 1:3 in subjects of Anaesthesiology, Forensic Medicine, Radiotherapy, Medical Oncology, Surgical Oncology and Psychiatry. Further, teacher: student ratio in public funded Government Medical Colleges for Professor has been increased from 1:2 to 1:3 in all clinical subjects and for Asso. Prof. from 1:1 to 1:2 if the Asso. Prof. is a unit head. The same has also been extended to the private medical colleges with certain conditions. This would result in increase in number of PG seats in the country. 6. DNB qualification has been recognized for appointment as faculty to take care of shortage of faculty. 7. Enhancement of maximum intake capacity at MBBS level from 150 to 250 per Medical College. 8. Relaxation in the norms of setting up of Medical College in terms of requirement for faculty, staff, bed strength and other infrastructure. 9. Requirement of land for establishment of medical college in metropolitan cities as notified under Article 243P(c) of the Constitution of India has been dispensed with. 10. Strengthening/upgradation of State Government Medical Colleges for starting new PG courses/Increase of PG seats. 11. Establishment of New Medical Colleges by upgrading district/referral hospitals preferably in underserved districts of the country. 12. Strengthening/ upgradation of existing State Government/Central Government Medical Colleges to increase MBBS seats. 13. Enhancement of age limit for appointment/ extension/ re-employment against posts of teachers/dean/principal/ director in medical colleges from 65-70 years.